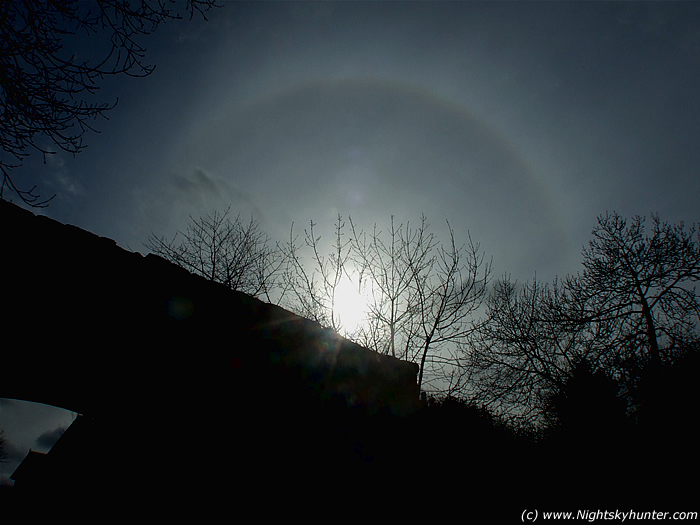 Image two of the 22 degree Easter Sun Halo on March 22nd 2008. Using the same lens only zoomed in a little to remove the corner shadows. It was bitterly cold and my hands were red and shaking at this time. A nice Buzzard appeared far above me circling on a updraught searching the fields for prey. The halo vanished soon after this. Same settings as previous image.